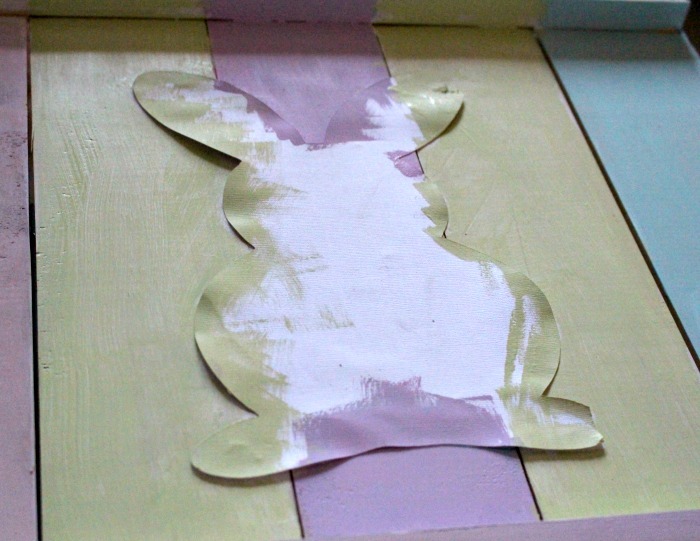 Home » How To Make An Adorable Pallet Wood Spring Bunny Sign & Giveaway!! Today I have a fun project to share and an awesome Giveaway! 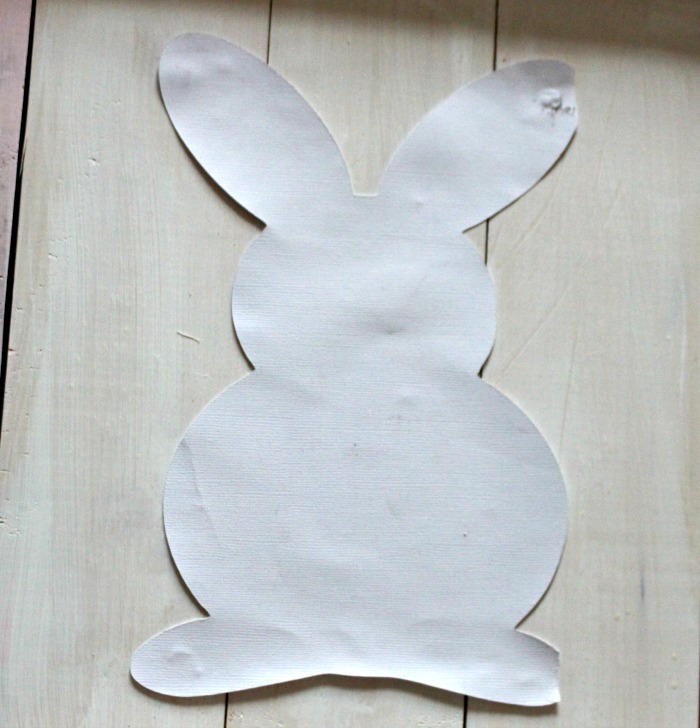 First up I will show you How To Make An Adorable Pallet Wood Spring Bunny Sign. Be sure to read to the bottom of this post for a chance to win some of my favorite paint from DecoArt. This post is sponsored by DecoArt and contains affiliate links at no extra cost to you. Please see my full disclosure here. Start with a wood frame. You can buy some premade at the craft store or use pallet wood to DIY your own. My Dad makes these wood signs for me. 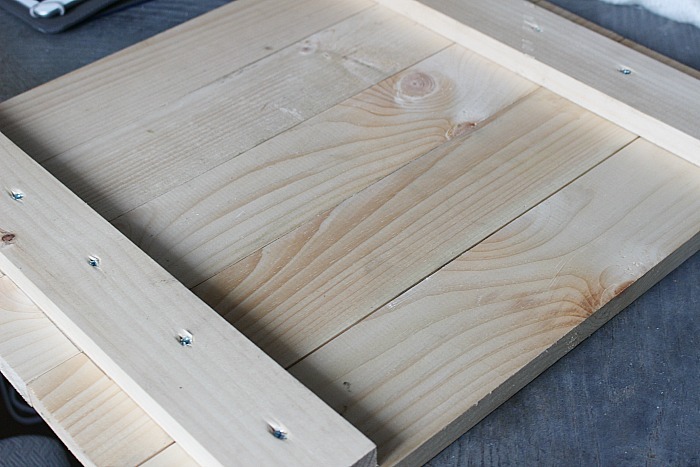 Sometimes he uses pallet wood, but for this one he had some extra wood on hand from the DIY Rustic Frames shown here. Then paint the wood the colors that you like. As this is a Spring sign, I went with pretty pastel colors. Remove the bunny, add some cotton or batting for the tail and you are done! 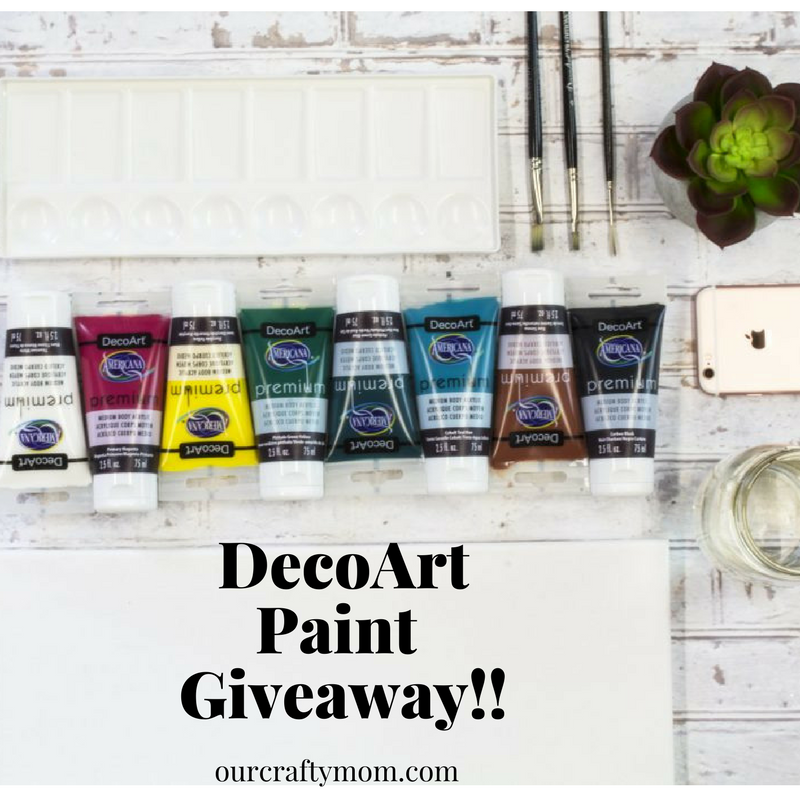 Now let’s get to this awesome giveaway from DecoArt! The giveaway will run from Thursday March 1st through Thursday March 15th. The prize package will include (12) of the NEW Americana Premium Acrylics and (4) of the NEW Americana Premium Mediums. The prize packages has a value of over $50! Best of luck to you! 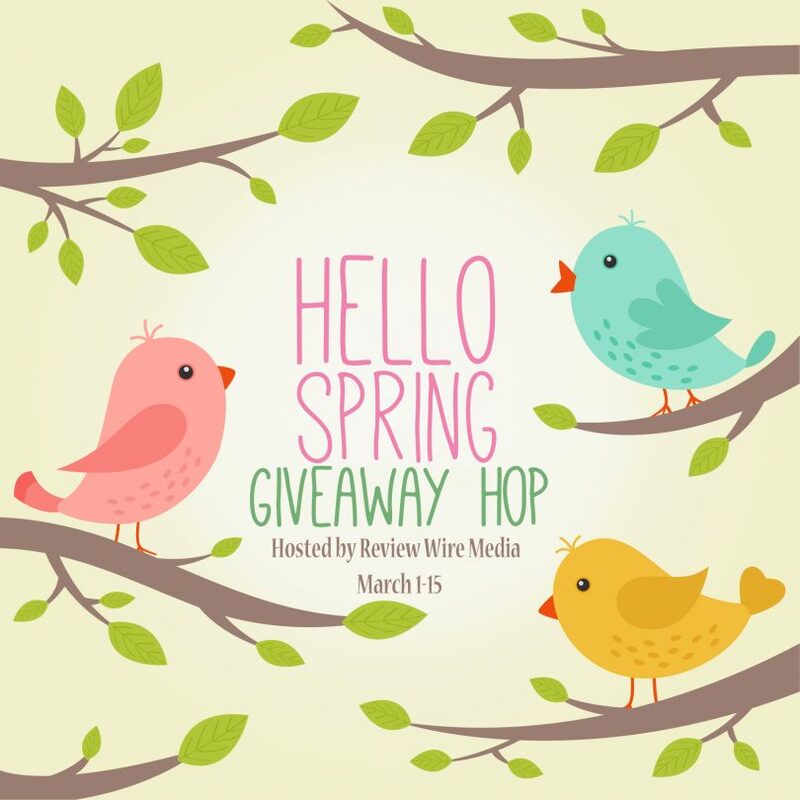 Check out all the other great giveaways in this Hello Spring Giveaway Hop! This is simply darling! I want to try something like this! Michelle, this is adorable! I love the colors you used. I just pulled out my Easter craft bin today. I’m ready to get started. Thanks for a great idea! Pinning. Thanks Beverly! I am so ready for Spring! 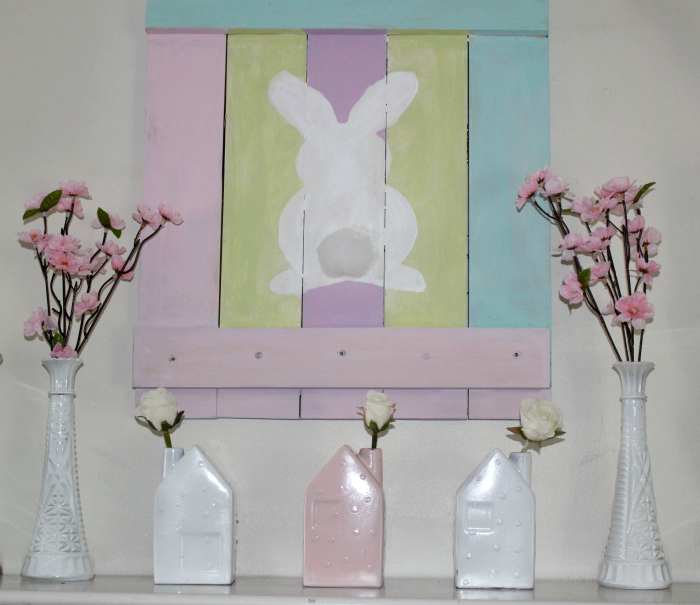 What a fun painting project and your bunny and all the spring colors are so perfect in your spring decorated home! You’re so handy, and you inspire me! This is so cute Michelle and has me craving Spring so badly! I have a big box of DecoArt acrylic paints(my fav!) I need to get out and get creative with. Thanks for sharing! Thanks Amanda! I am excited for their paint pouring line that’s coming out in a few weeks. I am obsessed with it now! Thanks so much for hosting Ashley! Have a great day! This is so cute Michelle. I think great minds think alike because I have on my list this week to make something similar with paint sticks. The paint colors are so pretty. I can’t wait for Spring, I just don’t like snow in March. Thanks for sharing at Merry Monday! Ooh I bet a paint stick one would be great & inexpensive! 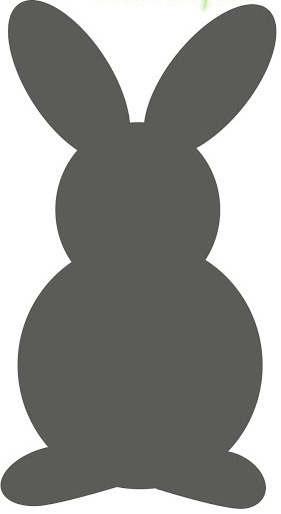 We are expecting a big storm tomorrow with at least 6″ of snow-yuck! Have a great day and so glad you are joining us at Merry Monday this month! I love how simple and easy this DIY is to follow! I definitely want to try this as a fun project with my daughter. It’d be an adorable piece to add to her room. So cute Michelle!! Will have to try making one of these! Thank you for the awesome tutorial! So cute! Sharing on my Merry Monday roundup this week! Love the pastel colors in this sign. Uses all the pretty colors that one would associate with spring. Will be featuring this in this week’s MM roundup.